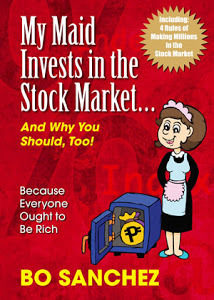 I agree with Freya Natividad, she is an investment analyst at brokerage firm 2Trade-Asia.com. The slight decline was influenced by tensions in the Malaysian. I hope this conflict would be resolve as soon as possible. Our president also reiterated that the Philippine government would pursue peaceful means to resolve clashes between followers of the Sultanate of Sulu and the Malaysian government. 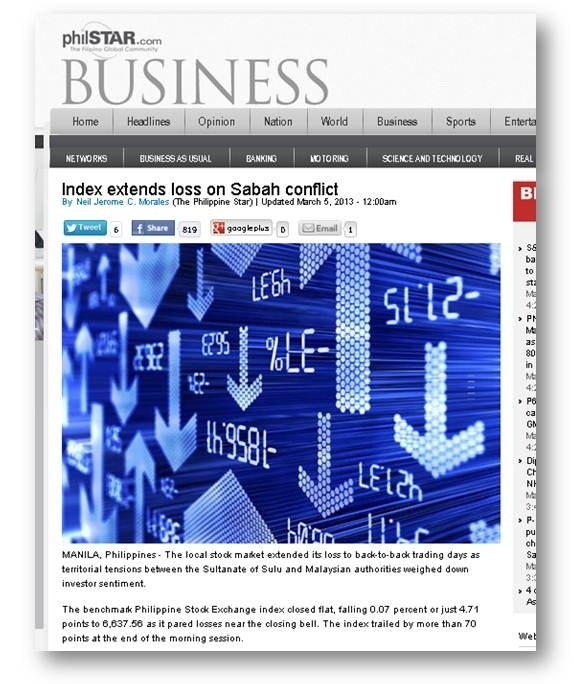 "The local stock market extended its loss to back-to-back trading days as territorial tensions between the Sultanate of Sulu and Malaysian authorities weighed down investor sentiment. 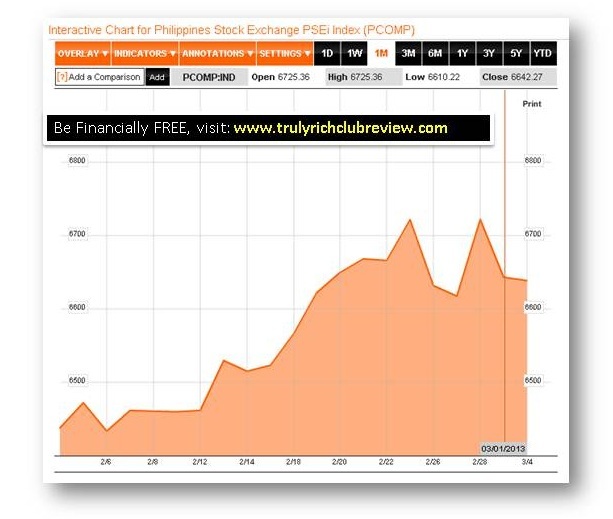 The benchmark Philippine Stock Exchange index closed flat, falling 0.07 percent or just 4.71 points to 6,637.56 as it pared losses near the closing bell. The index trailed by more than 70 points at the end of the morning session. “I think the slight decline was influenced by tensions in the Malaysian Peninsula,” said Freya Natividad, investment analyst at brokerage firm 2Trade-Asia.com. She said the tension spilled over the equities market and might also influence the volatility in the foreign exchange." Here's the thing, worrying when the stocks is going down is not on the response we used to hear from the Truly Rich Club. In fact, we are happy when the giant stock is going down.